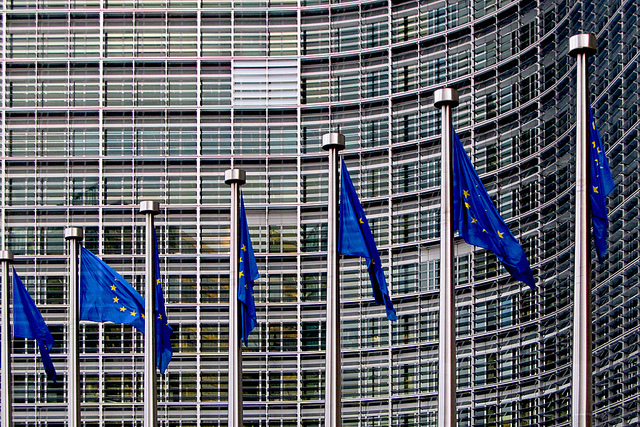 Regulatory experts from the European Commission, representatives of European banks and Bitcoin startups coincided last week in Brussels at the Blockchain and Digital Currencies Workshop. Alberto, our CEO, was a speaker at the event to present the prototypes of financial products based on the blockchain technology, currently being developed by Coinffeine for some Spanish banks, and he used the occasion to show how the latest version of the application works. It was made available from our downloads page just a few days later. The event began with an introduction to the technical aspects of Bitcoin, and an analysis of its legal nature and its regulation. The attendees were interested in knowing more about the initiatives created by companies in the ecosystem such as Coinffeine, Circle or Ethereum and how they are generating business. A special interest was shown for the initiatives from Bitcoin companies that are working with banks, as is the case of Coinffeine. This is understandable, because among the participants were representatives from many major European banks, as for example the director of BBVA’s European Affairs Office in Brussels. During the subsequent networking Alberto provoked reaction of the audience by presenting an assumed scenario that symbolically represented the paradigm shift that the blockchain technology represents. He asked the audience to think of the possible publication of the name of their children and the school they attend on the internet. He further explained how this message can not be deleted if it was written in the blockchain. The attendees were alarmed by this fact, and reasoned that to use the well-known right to be forgotten and ask Google to remove information from the internet, is not possible with the blockchain. The conclusion we draw from our intervention is that members of the commission understood the importance of knowing more about a technology like Bitcoin. They support the need to develop an approach to new entrepreneurial initiatives and businesses emerging in the ecosystem. It was especially relevant to see the importance given by attendees to the synergies between banks and Bitcoin companies currently happening in Spain. Spain is home to some of the largest banks in world, so it is not a coincidence that two spanish banks are partners with Bitcoin companies: Bankinter with Coinffeine and BBVA with Coinbase. The title of the panel was precisely the point of Alberto’s intervention: “Why banks should (not) be afraid of cryptocurrencies”. And we believe that the presentation and the example of Coinffeine helped to emphasize just that. The Technical Preview version of our P2P Bitcoin exchange is here! If you are interested in testing the first P2P Bitcoin automatic exchange, you only need to download our application and, once installed, start buying and selling bitcoins with other Coinffeine users. This version is intended to enable independent users and banks to try the application at an early stage, integrate it into their services and operate as Bitcoin exchanges. Although the Coinffeine Technical Preview is fully functional, we decided to go step by step in this early stage, and distributed a version that is configured to be used on a Testnet or test blockchain. In this way, the users can try it without spending money and eliminate any risks. To test the platform, you only have to download the application from our website. Just as you do not need to register to use BitTorrent, you do not need to register or provide any identification to use Coinffeine. You just install it and use it. This new version introduces our new user interface, it is available for Windows, Mac and Linux, and for the first time in a P2P exchange, users can experience an automatic, secure and without arbitrators exchange similar to that offered by traditional exchanges, as in Bitstamp or Coinbase, but with all the advantages of the P2P. Coinffeine’s intention is to combine the concept of a wallet and exchange in the same product. It is a concept we believe have a great potential, and therefore we leave the following steps to the imagination. Coinffeine is a desktop application that works as a wallet, which allows to store bitcoins safely, and to connect an OKPay account -a payments processor similar to PayPal- to buy and sell bitcoins with other users. In addition, with Coinffeine you do not have send your bitcoins to a platform to operate, as in Bitstamp, but they remain at all times in your wallet and only you have control over them. 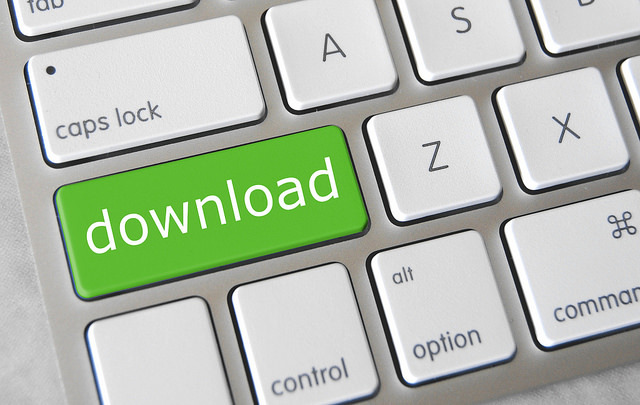 Download our app now and discover why Coinffeine is “the BitTorrent for your bitcoins”! The Spanish Bitcoin startup Coinffeine launches the Technical Preview version of its P2P Bitcoin exchange. For the first time in a P2P exchange, users can experience an automatic and secure exchange similar to that offered by traditional exchanges, but with all the advantages of the P2P. This version is intended to enable independent users and banks to try the application at an early stage, integrate it into their services and operate as Bitcoin exchanges. Everyone interested can download our application, and once installed you can begin to buy and sell bitcoins with other Coinffeine users. Although the Coinffeine Technical Preview is fully functional, we decided to go step by step in this early stage, and distribute a version that is configured to be used on a Testnet or test blockchain. In this way, the users can try it without spending money and eliminate any risks. “From today the Bitcoin community can try Coinffeine, the first P2P Bitcoin exchange without arbitrators. This is the same version that we are offering to our bank partners and customers. Users will have to wait a little longer to use it with real bitcoins, but we are sure the wait will be worthwhile. We hope to transform Coinffeine’s relationships with banks and payment processors into services that give them added value“, said Alberto Gómez Toribio, CEO of Coinffeine. To test the platform, users just have to download it from our website. Just as you do not need to register to use BitTorrent, you do not need to register or provide any identification to use the application. You just install it and use it. 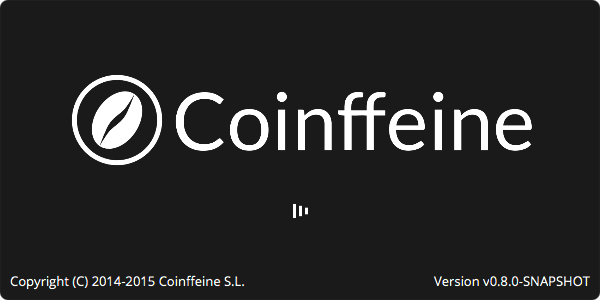 Coinffeine is available for Windows, Mac and Linux. This new version also introduces our new user interface, which is very different from what you saw in the last public appearance. “Few Bitcoin products invest sufficient resources in design and usability. Our team continues to grow, and we have recently added an expert in this field to our team. He has been in charge of the transformation of Coinffeine’s user experience, and the result is something completely new”, said Gómez. “Coinffeine is a desktop wallet like Armory or Electrum with which you control your money safely. This allows the company to avoid disclosing MSB, because we do not touch the money or the bitcoins from our users. We have learned much from the P2P industry and we want to apply many of these concepts to the FinTech ecosystem”, said Gómez. This release concludes the period of private testing that started last December 18th, where Coinffeine presented the first Alpha version of the platform in a public event in Madrid and a limited number of users joined the private user experience program. Prior to the release of the version 1.0 of the product, we will evaluate the creation of a similar private testing program. This time we will invite a number of new users to try the platform, but with real bitcoins and money. Coinffeine is a desktop application that has been defined by those who have tried it as the ‘BitTorrent for Bitcoin’. The application works as a wallet, which allows to store bitcoins safely, and to connect an OKPay account -a payments processor similar to PayPal- to buy and sell bitcoins with other users. The main difference with other P2P Bitcoin exchanges, such as LocalBitcoins or BitSquare, is that these exchanges function like eBay, ie with the need to establish contact with another person, agree on the price and pay trusting that you will receive the bitcoins. In Coinffeine the process is automatic, safe and without arbitrators: the experience is the same as using an exchange as Bitstamp or Coinbase. “In LocalBitcoins or BitSquare you can’t do trading efficiently because you can’t keep orders in the market that run automatically. In these markets, when a user opens an order that corresponds to yours, you must intervene. Some platforms incorporate persons acting as an arbitrator in a dispute, which makes the process a little safer, but much slower and expensive”, said Gómez. Coinffeine’s design is similar to BitTorrent: it works between users. This means that the user does not have to register or provide personal information to use the application, you simply download it and use it. Coinffeine is also reliable. The source code is available to anyone who wants to review it on its profile on the popular social network Github. Coinffeine is a Bitcoin startup based in Madrid. 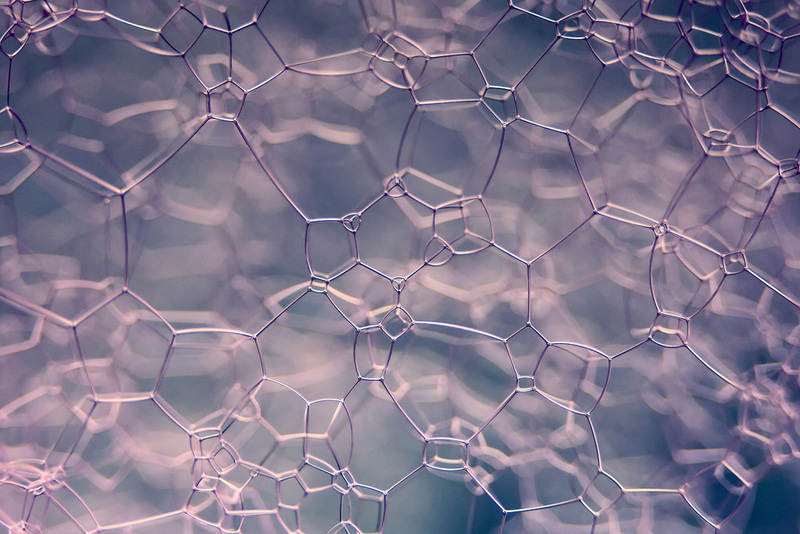 It was founded in 2014 by four Spanish engineers with previous experience working together on projects related to distributed systems and Big Data. It was the first company in the world that was founded using bitcoins as social capital. The potential of Coinffeine’s work has been recognized at conferences like CoinSummit. The spanish organisation ICEX recently selected the startup as one of the 12 Spanish companies with most international outlook to be presented in Silicon Valley, an appointment that took place in November last year. Coinffeine is also known for becoming the first company within the Bitcoin ecosystem to have a major bank as partner and investor: the Spanish bank Bankinter. Madrid, our home city, will host the Digital Currency Summit (DCS) tomorrow, an event that the organizers describe as “the gathering point for banks, governments and investors to debate about Cryptocurrencies”. Coinffeine does not want to miss it! DCS is a unique event organized by banks and for banks, which it is not a precedent but a symptom. Spain is home to some of the world’s largest banks and financial institutions that have greater interest in developing new products with Bitcoin. The B2B in Spain is possible, and the DCS conference is one of the best places to meet the protagonists of this ecosystem. The event will be attended by banks and companies from Spain like BBVA, Banco Santander and Banco Sabadell and international names such as UBS, Lloyds Banking Group, Fidor Bank, Accenture, Rabobank, Osborne & Clarke and Rakuten, to mention a few. In addition the event will also be attended by leading Bitcoin companies such as Blockchain, Circle, KncMiner and MeXBT. The one-day event will analyse the Bitcoin´s legislative and legal framework, its overall impact and its integration in the banking system, a framework in which Coinffeine has a lot to say. We are one of the few Bitcoin startups with a product that fits the banks’ business models and that has managed to gain their trust and confidence. After closing our private Trial program and finalizing the details of the next launch of our Technical Preview version, we have a lot of news to share. It is expected that many of the conversations revolve around the recently published binding response of the Spanish Tax Agency which states that Bitcoin is not encumbered with the Value Added Tax (VAT) when used as means of payment or donation. Coinffeine will attend as audience to listen and share experiences with speakers and attendees about our work with Spanish banks; what products and services are being created around our protocol, our experienes meeting with regulators in New York and the progress with the Spanish politicians after attending the debates in the Spanish Congress on the process of Bitcoin regulation in Spain. Coinffeine wants to congratulate Alex Puig, executive director of the event, which has successfully transformed charisma and talent into a unique event of its kind. 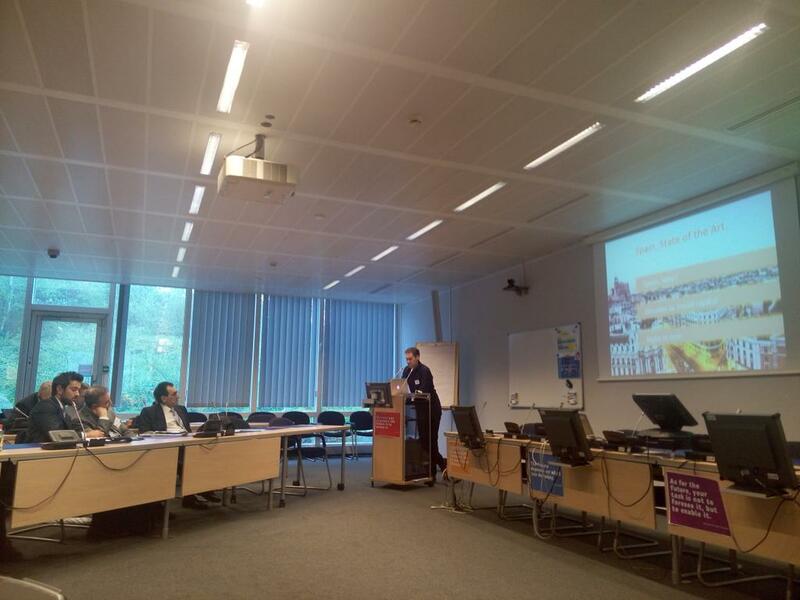 In addition, Puig is also the organizer of Blockchain and Digital Currencies Workshop at the European Commission, where Coinffeine has been invited as a speaker. So our CEO Alberto will be in Brussels on Monday April 27th to participate in this important event. He will, along with Fidor Bank, discuss emerging partnerships being developed between the Bitcoin ecosystem and banking in a panel entitled ” Why Banks Should (not) be afraid by cryptocurrencies – experience from an early adopter bank”. The essence of Bitcoin is its decentralized nature. It is the Bitcoin network nodes which makes up its heartbeat, and this is probably one of its most important features. But even if this is one of the most relevant properties of cryptocurrencies, innovation in services and applications in the Bitcoin ecosystem is packed with projects that ignore this property and conceive centralized conglomerates. The decentralization of Bitcoin is a paradigm shift to the exchange of digital goods, assets, money and information between individuals and businesses. It also responds to the emergence and evolution of the P2P economy, which has become increasingly important in our daily life. These changes are in constant evolution, and we believe they are here to stay. Coinffeine joined the flow of services within the ecosystem that wanted to delve into this important property. We wanted to look at this profoundly to be able to take it further. Coinffeine’s commitment lies in the decentralization of the exchange of bitcoins, which gives users the full power over their bitcoins in the process of exchange, avoids the need to rely on a third party and ensures security in the process. This is something, that from our point of view, is an essential and necessary evolution in the progress of Bitcoin. The decentralization of Bitcoin exchanges has undoubtedly been, and remains, one of the hottest topics concerning digital currency in forums, social networks, blogs, publications specialized in cryptocurrencies as well as in the mass media. Many of the big headlines about Bitcoin, have dealt with cyber attacks on exchanges and the consequent losses of bitcoins by their owners. MtGox or Bitstamp, regretfully for themselves and the vast majority of the Bitcoin community, have been two of the most relevant names in such news. Although not desirable, it is not unthinkable that these headlines will repeat. Coinffeine does not seek to validate its existence with such scandals. That has never been our intention and it will never be. But nonetheless, it is undeniable that the decentralized nature, the very essence of our exchange, will make sure these headlines do not repeat. We are about to enter a new and significant phase in our work: the interaction between Coinffeine‘s future users and our application. For this, Coinffeine’s team grows. We incorporate a UX professional with a profile that has conquered us. Over the coming weeks we will work to ensure that the user experience of everyone that downloads the application is, from the first second, as pleasant and attractive as possible. From our own personal experience in the use of applications, we know the usability and design are aspects of maximum importance. 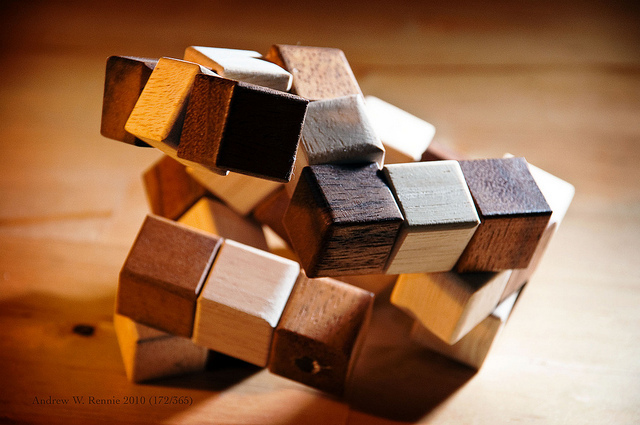 Too often it is not taken serious enough, which creates dissatisfaction with the users. Coinffeine is aware of this. We do not want to fall into the widespread mistake and neglect usability and design, simply because we do not want to disappoint the expectations placed on us. We understand that users wants to find the application intuitive, that it confers ease of use and functionality, agility and speed, in a sleek and visually appealing design that will make the use of Coinffeine a fun, enjoyable, fluid, smooth and practical experience. And that’s exactly what we want to achieve! A better and improved Coinffeine! Bitcoin is a digital good that was designed as a form of money that makes sense on the Internet. It is possible to transfer from person to person easily, without intermediaries and with less commission. That is why it is increasingly popular as a way to pay on the Internet. But there are many other markets where Bitcoin, with its properties, may be the key to revolutionize some services as we know them. Sending money internationally, commonly known as remittances, could be one of these markets. One of the main problems when money is sent internationally and is subject to a currency exchange, is to know the actual amount that reaches the destination. There are very few services that offer a fixed price. The reason for this is that when an amount of money is sent in the currency of origin, it is not converted to the currency of destination in the moment, but a few hours later or in some cases it might even take days. Because of this, the exchange rate between the currencies of origin and destination fluctuates and it is very difficult to offer a fixed price. In many cases, the remittance processes require the identification of the recipient before receiving the payment, and it is at this time, and not before, the currency exchange is performed. Uncertainty regarding a non-deterministic price system is not very serious if we are talking about a private person, but in the case of companies these gaps are unacceptable. 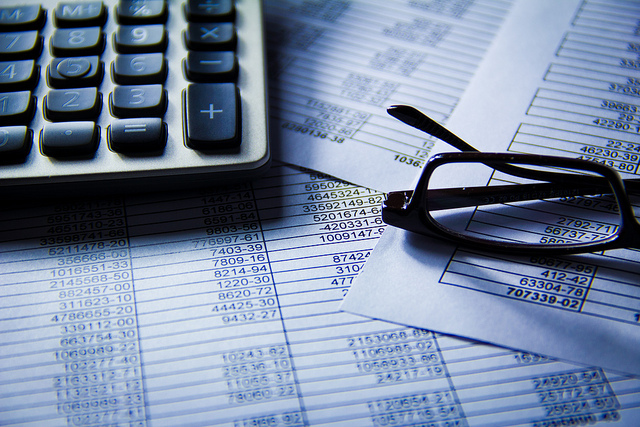 Companies prefer to reduce their benefits paying for services that allow them to add certainty, and that is the purpose of many financial products. Digital goods like Bitcoin are often praised as examples of solving problems with international money transfers for reasons that seem obvious, but that are not always certain..Cost reduction or reduction of friction to avoid identifying the parties, are two examples of this. After designing the Coinffeine’s matching system we have developed a different view: the really interesting new thing about Bitcoin remittances could be the determinism, or the ability to know precisely the money sent and received even though the system can be more expensive. A few months ago Coinffeine studied this common problem in the markets while designing the price discovery system of our platform. Imagine a market for digital goods, such as Bitcoin or financial products, with the same user experience as a traditional market, but in which users buy and sell these digital goods between them without intermediaries, using a similar application to BitTorrent that allows them exchanging digital goods automatically and where the payments are made using payment processors such as PayPal. Welcome to Coinffeine! If a user opens an order for one Bitcoin in a market, it is possible that even though there is sufficient liquidity there is not another user ready to to sell that amount. We can immediately think of a solution in which the user is matched with as many counterparts as necessary in order to satisfy the amount of bitcoins you want to buy or sell, but this operation is not so simple. In each operation small commissions are paid in bitcoins to the Bitcoin network for issuing transactions and in euros to the payment processor for the payment made. Although in most cases these quantities do not exceed a cent of a Euro, both depend on the number of partners required to fulfil the order. We could be satisfied with this solution, but the truth is that this model has an unacceptable property in any market and also in the remittance market: it is not deterministic. Since it is impossible to know the number of partners required to satisfy an order in advance, and that each match carries certain small cost, it is impossible to know what will be the exact amount of euros or bitcoins that will be received. As in the remittance market, we are in a situation where the client needs to get a budget. But it is not possible to provide determinism because the conditions depend on the state of the market. Coinffeine has solved this problem by designing an algorithm that adjusts the offer price dynamically to guarantee the user a closed budget and ensure compliance. In other words, we have succeeded in making Coinffeine a deterministic market. But how can we manage the same in a completely different market such as remittances? Since there are several markets, or companies that allow buying and selling bitcoins in different countries, you can buy bitcoins using one of these companies in one country, send them to the country of destination and change them into local currency using a company with similar service. This makes a money transfer with currency conversion possible. The advantage of an automatic system to perform these operations on both ends is that it is deterministic and can offer a fixed price. Far from being a real, usable deterministic solution for remittance, the experimental use of Bitcoin today allows us to reason about using this technology in a comprehensive service based on Bitcoin. It could solve some main problems in international remittances, and help to keep the focus on the real problem: the determinism. The same way as telephony initially, especially with mobile telephony, lacked a deterministic cost system in its services due to the price difference in calls between operators or midrange calls, remittances are now suffering the same problem. And like the mobile telephony market evolved into a deterministic costs system which created concepts such as tariffs and services with meaning and real value for the customer, it is possible that Bitcoin is the key that allows the same type of revolution in the remittance market.